All-natural PriaPlex® is an advanced, patented herbal formula designed to support healthy hair regrowth and prevent hair loss associated with aging. PriaPlex is the first therapeutic food invention approved by the U.S. Patent & Trademark Office for inhibiting hair loss. 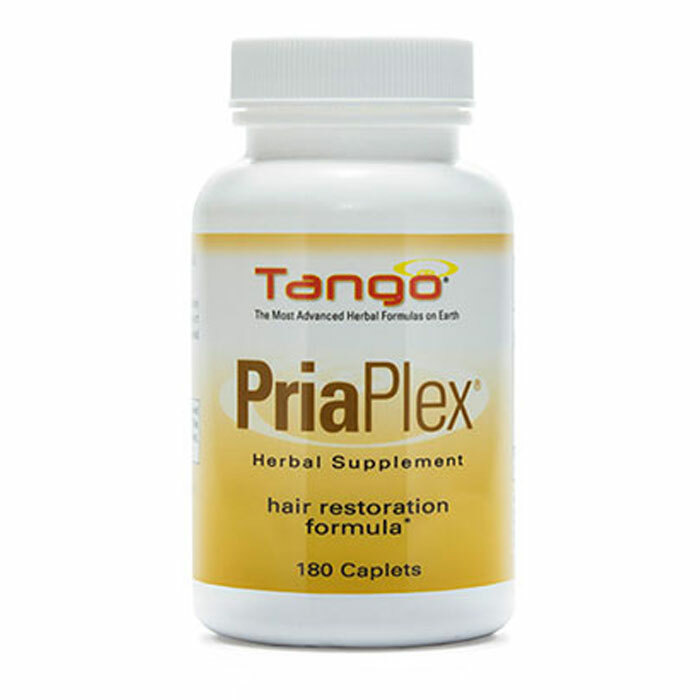 the product reduces hair loss and promotes hair growth, improves skin texture, and enhances vitality. PriaPlex combines a nourishing blend of herbs that not only halt hair loss and increase hair regrowth, but also benefit general health. Case studies have shown that patients experienced increased levels of vitality and energy after 1 to 2 weeks and had improved skin tone and texture after 6 to 8 weeks. Directions: The recommended dose is 3 caplets, twice daily (AM & Early Afternoon).